From the moment the Chicago Bulls were eliminated from the NBA playoffs last Thursday — actually before that moment, as the Bulls’ blowout loss in Game 6 to the Cleveland Cavaliers provided plenty of time to declare their season over before the final horn — the team has been the subject of many rumors of the who’s-going, who’s-coming variety. 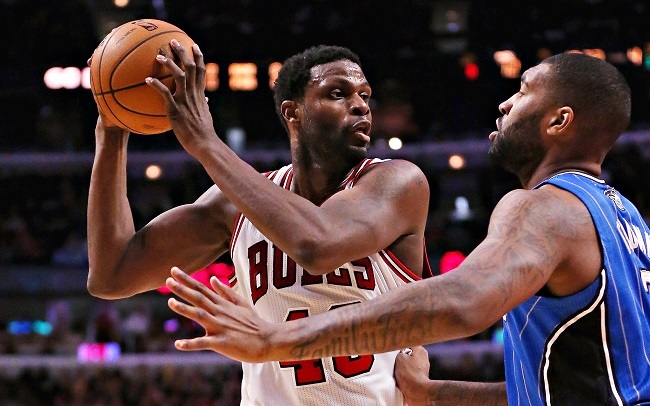 There is so much going on with the Bulls right now that it understandably coasted under the radar when backup center Nazr Mohammed told the Chicago Tribune that he is not retiring and plans to return for his 18th NBA season. Mohammed’s contract is also up, meaning he’ll be an unrestricted free agent this summer. The 37-year-old has played for eight teams in his pro career, helping the majority of them make the playoffs each year during his tenure, and winning an NBA championship with the San Antonio Spurs in 2005. A practicing Muslim who was raised in Chicago, Mohammed has been with his hometown squad for the last three seasons. He doesn’t play much anymore, averaging just 5.6 minutes per game in 23 appearances this past regular season, but Mohammed has been one of the Bulls’ locker-room leaders and veteran influences. After winning two national championships at the University of Kentucky, Mohammed was chosen 29th in the 1998 NBA Draft. His has been a class with surprising longevity, as fellow ’98 draftees Paul Pierce, Dirk Nowitzki and Vince Carter are still active in the league.